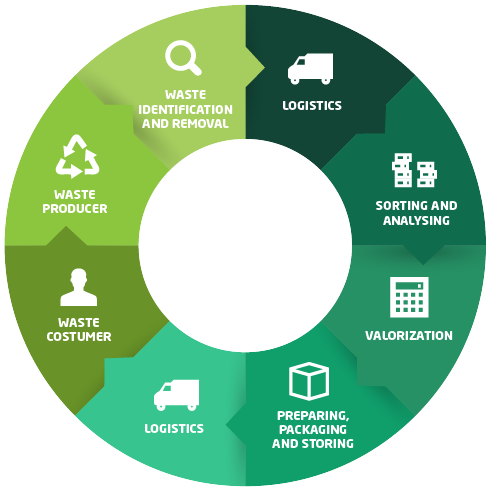 Thanks to our experience, facilities and specialised equipment, as well as the knowledge and training of our employees, Recymet has developed a process map that establishes a series of operating procedures which are monitored and analysed in a bid to continuously improve business management quality. 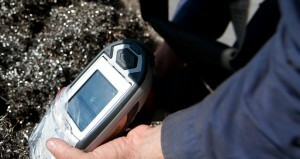 Recymet begins by identifying and initially assessing the waste on-site, i.e. 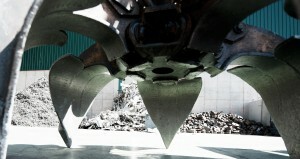 on the premises of the waste producer or generator, and then collects the waste using suitable transport. It then arrives at our facilities, where we classify, analyse and determine the quality of the material. The quality of the material and its market price determines its optimum recovery. Based on customer requirements, the materials are then prepared, packaged and shipped to the client for their final use. Recymet has got the certifications nº 333/2011 and 715/2013 thanks Recymet meets the requirements of article 6 of EU Council Regulation containing the criteria whereby certain types of scrap metals (aluminum, steel and cooper) cease to be considered waste under European Parliament and Council Directive 2008/98/EC. RECYMET SYSTEMS, S.L. makes the commitment to ensure an adequate level of on-the-job safety for its workers, without jeopardising health as a consequence of that job. It likewise endeavours to protect property and processes against possible losses. To put this commitment into practice, the necessary measures will be adopted so that the safety conditions at job positions comply with the standards set forth in legislation and with the practices accepted in the industry. Coordination of activities with machinery maintenance, repair or installation companies. Coordination of activities with transport companies. Coordination of activities with cleaning companies. In accordance with regulations RD 171/2004 and RD 1627/97, RECYMET SYSTEMS, S.L. carries out the document management derived from the coordination of preventive and health and safety activities with visiting companies on its premises, through the AWS INTEGRA PLATFORM, managed by the company ASEM PREVENCION. On this platform, all visiting companies must upload the required prevention of occupational risks documentation. The platform also contains RECYMET SYSTEMS, S.L.’s documentation on this matter. We are here to answer any questions, to provide any additional information you may need about how to use this platform and to exchange information and documentation on the activity to be carried out on our work premises.